TITLE DEFENSE: Enormity was almost named after an atomic bomb. The title of Enormity is a metaphor. 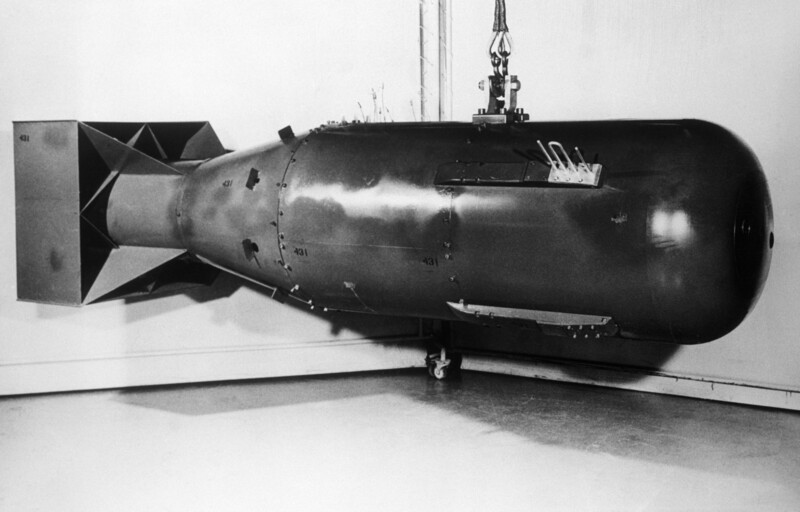 The working title of the book was actually “Little Boy”, which is a reference to the codename given to the atomic bomb that was dropped on Hiroshima on August 6, 1945. It felt like a metaphor for both Jack’s impact on his new planet and also his immaturity. But I changed the name to Enormity after reading a piece by journalist Laurie Barber. He writes a weekly column that is syndicated to a number of newspapers, including my place of work – The Maitland Mercury. In each article he traces the genesis, history and evolution of a particular word. “Enormity” is commonly thought to convey something that is “enormous” and is so widely misunderstood that the dictionary has now been altered to include that definition. But the word “enormity” actually means evil or atrocious. Besides Enormity being a more powerful title than Little Boy, I also felt the word worked as a metaphor that better suited the book: something evil or depraved that is mistaken as or believed to be grandiose or worthy of awe. I’ve included both definitions at the start of the book as a small clue – or tone – to begin the story. But for those of you that are interested, here is Laurie Barber’s column on Enormity. In this living language the meaning of some words is undergoing constant change. At times the change is so slow that we fail to realise what is happening. Take enormity for instance. A few years ago at my place of employment I removed the word enormity from a report in which a correspondent was praising the efforts of a young sportsman. The correspondent complained to somebody in the office, who didn’t know the difference, and that person promised to draw it to my attention. There the matter ended. But in the past week or so I saw in a regional paper a front page comment about another sportsman’s achievements. The report said the sportsman was only just realising the enormity of what he had done. One of the Oxford English Dictionary’s definitions of enormity is “a gross and monstrous offence”. My American Dictionary says of enormity “a grave crime or sin”. Collins says of the word “a terrible crime or sin”. Stephen Murray-Smith in Right Words says enormity means “an act of great wickedness”. Eric Partridge in Usage and Abusage says enormity means “extreme wickedness” and the Cambridge Australian Style Guide says enormity carries a sense of strong moral outrage. The ABC says enormity is a noun meaning “an act of great wickedness” or “an atrocious crime”. I could mention other experts, but I presume that by now you get the general idea. Having said that, I concede that enormity is being used so much these days to refer to size that in time the wickedness associated with the word will almost disappear. Why do we associate enormity with size? From what I understand, an obscure word no longer in common use was enorm, which meant abnormally wicked, monstrous or outrageous crimes. For instance, in 1481 William Caxton writing an article called “the mirrour of the world” mentioned Sodom and Gomorrha’s “grete and enorme synnes”. This word enorm, which had a broad meaning of anything which deviated from the normal rule of behaviour, led to enormity which carried a similar meaning. Over the years the meaning of enormity expanded, so that it covered anything deviating from the normal rule. As a result, in more modern times because something huge has deviated from the normal rule people are starting to use enormity to mean something big. Words such as enormous have carried similar meanings, but have already been accepted in our language as meaning huge, rather than wicked. My big dictionary says that if you enorm something you make it “monstrous”. And that brings up another subject. I remember that in years past I got into trouble for a comment I made on radio in another town about the participants in a “monster tennis tournament”. My plea, in defence, was that I couldn’t help myself. I accept that enormity will soon be accepted as a word meaning little more than “very big”.